The Kansas City Game Fair has launched a Kickstarter campaign to fund their 5th Annual convention. 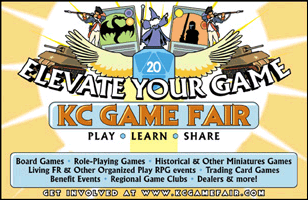 The KC Game Fair brings the best tabletop games to Kansas City, including RPG's, designer board games, miniatures and much more! In 2013 the KC Game Fair returns to the Hilton KC Airport for the third time on November 22-24. Last year was an amazing year, and we're hoping to continue the momentum to build a world class tabletop gaming event right here in Kansas City. 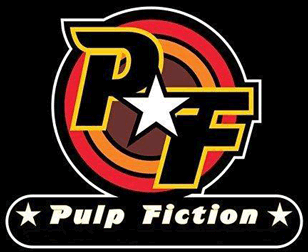 This month's Gameday & Meeting is Saturday, August 10, 2013 at Pulp Fiction Comics and Games, 1100 SE Blue Parkway, Lees Summit, Missouri 64063. Visit them on Facebook! RPGs and board games available starting at 10am. Walk-ins welcome! 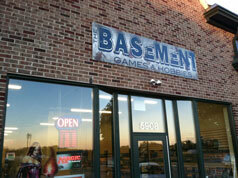 This month's Gameday and meeting is Saturday, July 13, 2013 at CK Enterprises, 1204 SW Jefferson St, Lees Summit, MO 64081. NOTE: We have changed the entry door to the glass vestibule on the Eastern side (facing the road). There may be an RPGKC sign on the door. More information available at the KC Game Fair website! Thank you to all of the attendees for making this year's KC Game Fair the wonderful experience that it was. Thank you to all of the vendors and special guests who came out to add value for our attendees. Special thank you to AEG, Fantasy Flight, Hero Labs, Misty Gates, Pathfinder Society, Guild World, and 31st Century Games (via the wonderful Heroes of Rokugan players). Because of all of the efforts from all of you attendees, special guests, vendors, and donors, we raised 1208 dollars for Harvesters. Oh, and thank you to those who put items in the Gamers' Garage Sale. A percentage of each sale there also is donated to Harvesters. Heroes of Rokugan, thank you for your efforts with the Toys for Tots program. Heroes of Rokugan, Pathfinder Society, Shadowrun Missions, and Guildworld was well represented this year. I appreciate the work all of you did to help make this convention what it was. Those who volunteered, no matter how many hours, and those who judged, thank you. Now, time to sleep for about a month. Join the Facebook Event to let us know you're coming. And spread the word! 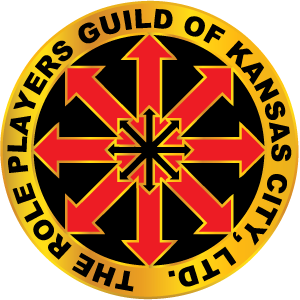 This month's Gameday and meeting is Saturday, February 8, 2014 at The Basement Games & Hobbies, 5908 NW 63rd Terrace, Kansas City, Missouri 64151 (map). 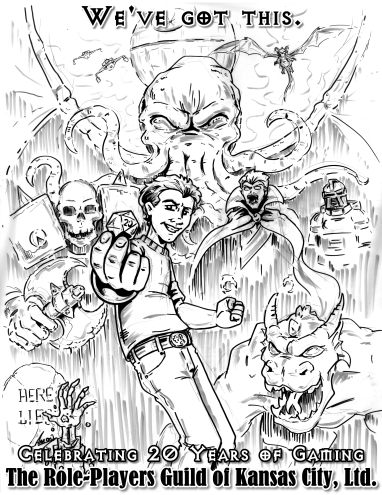 Thanks to Aaron Williams for the 20th anniversary art!